Last night, at the AIPAC (American Israel Public Affairs Committee) conference, Donald Trump was cheered when he voiced his unwavering support for Israel, despite the fact that Trump's anti-Muslim rhetoric is painfully reminiscent of the fascist anti-Semitic rhetoric of the 1930s. Today, dozens of people were killed by multiple terrorist attacks in Belgium. World leaders have responded with a renewed commitment to destroy the terrorist organizations. 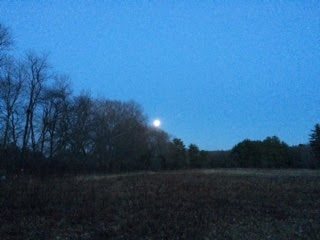 This evening, I led a full moon walk at Greenways Conservation Area in Wayland. 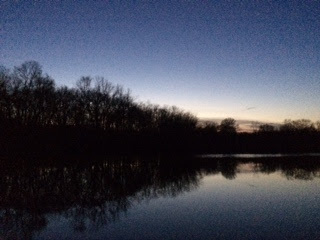 It was a magical evening -- sunset behind the Sudbury River, moonrise over the trees, beavers swimming in the river, geese flying down the river corridor, and the moon -- the moon, bright and full on a crisp, clear evening. We live in a frightening world. Listening to the news is enough to give us nightmares -- bombings, killings, climate disruption, racism, hatred, fear. What is our response? What is our task? To answer these questions in a fully thoughtful way, we must pause. We must stop. We must breathe, deeply and slowly. We must consider carefully. It is easy to let the fear seep into our hearts and our bones. It is easy, and natural, to say to each other, "Did you hear...?" "Isn't it awful....?" "Can you believe....?" But by responding in this way, we spread the fear. We magnify our distress. We perpetuate the terror, making it even more real. We may not all be able to take a full moon walk on a night like tonight. But we all bear the responsibility to find the tools to calm our racing hearts, to learn how to hold the tension and the pain and the fear and not to give a knee-jerk reaction, not to panic. We all have the ability to make the world a safer place, for all our hearts and souls, by saying "NO" to entering into the fray, and by stepping back and remembering that every human being -- every living thing -- is sacred and part of this amazing Creation, this incredible Universe. So, let us take a deep breath. 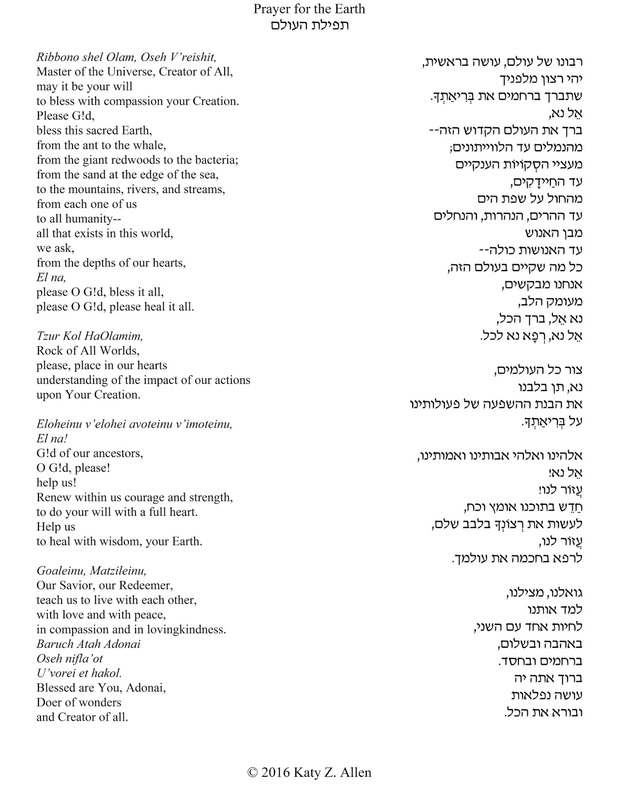 Let us pray from our hearts. Let us let the love flow. Let us stand our ground. Let us say NO to fear. Let us say YES to connections and interconnections. Let us say YES to the web of life. Let us find new courage. with a full, open, and loving heart. With gratitude for the blessings in my life.